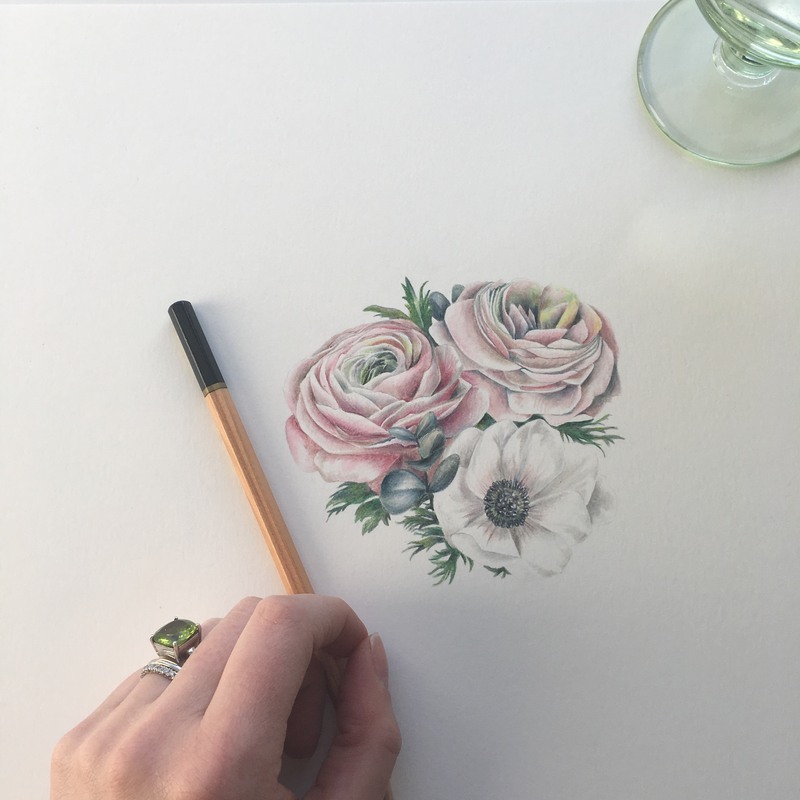 The Mini Bouquet Illustration Service is a unique way to preserve and enhance memories of a wedding day. 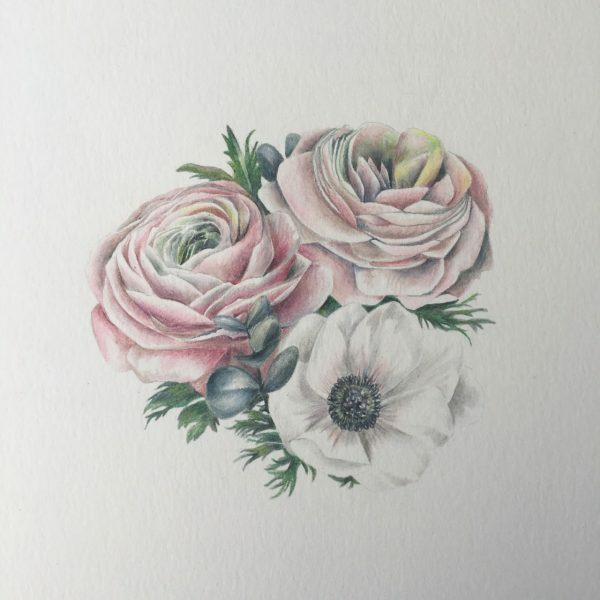 These bespoke drawings are highly influenced by vintage botanical illustration, but sit beautifully in the contemporary setting of a modern home. A perfect anniversary gift. Using photography of the full bouquet, we will select 3-5 blooms plus foliage, to design a creative interpretation. 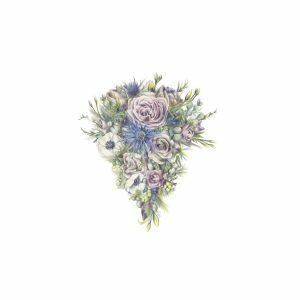 Purchase the Mini Bouquet Illustration Service. I will offer an email/phone consultation about the illustration. The illustration will be delivered, signed and mounted, via Special Delivery (signed for and with insurance), within one month of receipt of photography. This service entitles the recipient to one original bouquet illustration, on paper only. No digital file will be issued and the image may not be reproduced without prior consent from the artist. The illustration will be presented in an 18cm x 18cm mount, with 12cm x 12cm aperture. The illustration will be sent to the recipient via Special Delivery, within one month of receipt of photography. It is non-returnable and the voucher may not be exchanged for its cash value.